You will be met on arrival at Maputo International Airport and driven to your hotel for the evening – the Grande Dame of Maputo, the Polana Serena Hotel. Built in 1922 in the very heart of Maputo’s most prestigious avenues, the hotel has recently undergone extensive refurbishments restoring the landmark building with a fusion of classic charm and world class amenities. Maputo city has a lot to offer visitors and, subject to your arrival time in the city, the following optional extra day tours can be booked: Night Safari Tour – experience the best of Maputo night life; Mafalala Tour – walking tour introduction to the local culture and way of living; City tour with lunch – visit all the top museums and places of interest or the Feima Tour – short walk to the park for souvenirs shopping. Value add: A seafood platter for two, served at the Aquarius Bar excluding beverages, is included in the package for tonight. A short road transfer takes you down to the Maputo Marina where the Machangulo boat awaits to transfer you across the bay to the lodge. 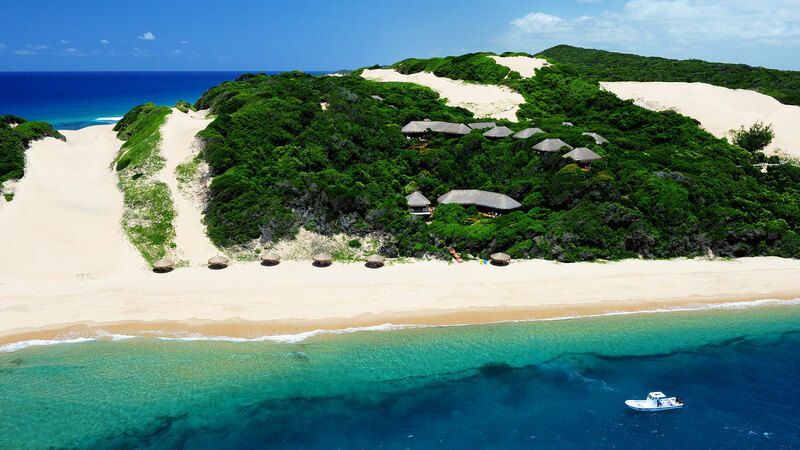 Machangulo Beach Lodge offers breath taking views over the channel and Inhaca Island from its location up on the dunes. With three different accommodation categories, there is something suitable for everyone, from those wanting either spectacular views or the convenience of easy beach access. The friendly team are known for their warm hospitality and ensuring that your stay is truly magical. Enjoy a variety of activities on offer ranging from superb deep sea fishing, snorkelling in the Inhaca Marine Reserve, kayaking in the mangroves to spa treatments. Or simply walk along endless, deserted beaches as you soak up the beauty of the area. receive a complimentary Spa Voucher to the value of USD 100 per booking and your choice of either a dhow cruise as either a Sundowner cruise or a trip to Santa Maria Village. receive a complimentary guided dune walk to explore the surrounding area and beaches as well as a beach picnic on Inhaca Island with the opportunity to snorkel in the marine reserve. Bid the beaches farewell as you make your way back to Maputo by boat. Enjoy one last night in the vibrant capitol of Maputo, either by exploring the city or simply relaxing in the world class amenities of the Polana Serena Hotel. Value add: buffer dinner at the Varandah Restaurant with non-alcoholic beverages included. Start planning your next visit to Southern Africa whilst en route back to Maputo Airport. From the Airport you can either connect back to Johannesburg’s OR Tambo Airport from where you will fly back home or take one of the direct international flight options. All meals, beverages, entrance fees, activities, flights, transfers and car rental not listed under Includes section. Regional and domestic flight fares and taxes are excluded but can be quoted on request. All items of a personal nature such as curio shop purchases, telephone calls and gratuities. Single traveller supplement and child rates will be quoted on request. The rates are subject to change without warning if there is an increase to park fees, bed levies, fuel prices or sales by third party suppliers or any other circumstances which is beyond our control. Note that all activities are subject to weather conditions. Standard booking terms & conditions remain applicable at all times.